Rithika has been our ethnic wear constant ever since we were teenagers and there is a good reason why we still go here. We've checked out their Secunderabad store recently and found beautiful anarkalis and dress materials. The fact that it is usually our first and goto option when we are looking for ethnic wear makes it quite awesome. 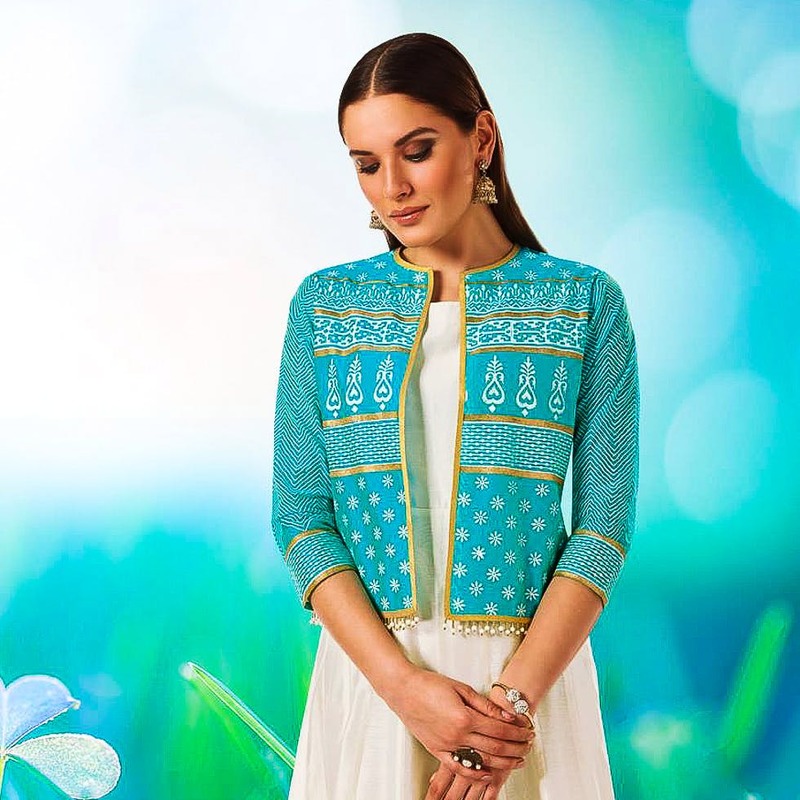 Rithika Suits & Dress Materials has appealing dhoti pants and short kurtas, a wide range of lehengas, and shimmery leggings along with basic bottoms. Known for crafting and stocking up as per the current fashion trend, we spotted plenty of ikat and Kalamkari pieces at the store. But we recommend going beyond cotton as the store does plenty of heavy work lehengas and anarkalis. We spotted a bottle green anarkali with full sleeves and a peach-coloured dupatta along with a subtle floral peplum kurta paired with off-white dhoti pants. We are fond of Benaras Silk and found several Benaras Silk gowns and lehengas with netted dupattas. Now, most of the readymades come with tiny dupattas, so we recommend checking out their dupatta section too. The lehenga section is the showstopper, and if you thought the mannequins are decked up in their best, step in and find more beauties in Benaras Silk and Georgette. Capes, translucent and delicate shrugs, heavy work dupattas — expect only the best! They set you back at INR 4,000 and upwards, but you can get the dress materials and anarkalis at INR 1,000 upwards. They really have to improve their kurtas or everyday wear collection because they look really outdated. Rithika has outlets in parts of the city like Ameerpet, AS Rao Nagar that you can check out. The Secunderabad store, however, is their first branch and tends to have the best collection.